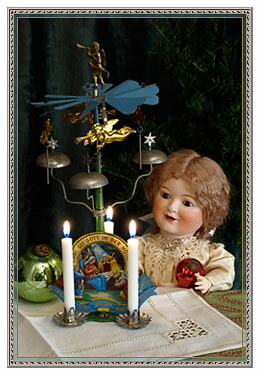 firms that specialize in the production of these nostalgic decorations. 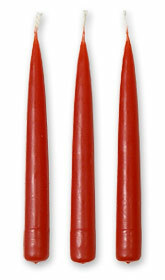 One of the earliest adornments to grace the Christmas tree, wax candles are still popular with holiday traditionalists. Candles can be enjoyed as decorations on the tree for their old-time look, but to actually illuminate the tree we use soft white midget electric lights. In a darkened room, the look of the tree candles combined with tiny twinkling electric lights on the branches of a Christmas tree creates a fairyland effect that is magical! 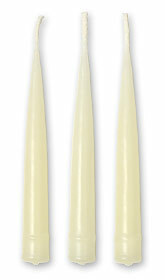 Our standard-size wax candles can be used on smaller, tabletop-size trees as well as on full-size Christmas trees. 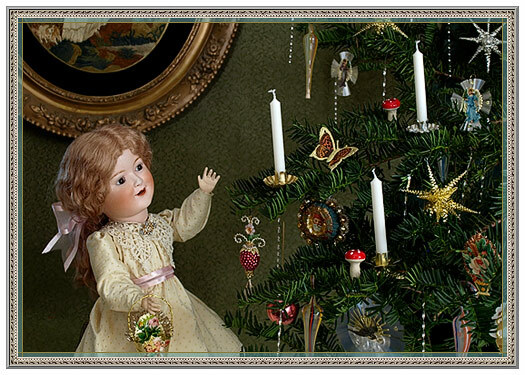 These candles are suitable for both artificial and live trees, and are authentic Victorian-era decorations on a goose feather tree. For safety reasons, we recommend that you don't light candles on your Christmas tree, but simply enjoy them for their old-time look. size to light Christmas angel chimes. 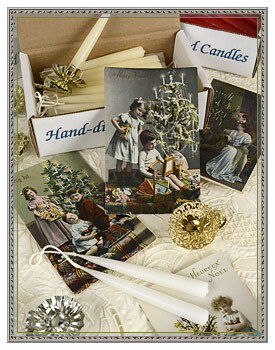 For a truly traditional look, our taper candles bring the charm of the past to your tree decorating. Made in the old Scandinavian style, the candle maker apprenticed with his uncle in Denmark to learn the time-honored craft of hand-dipping taper candles. 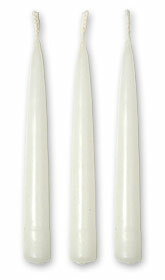 A nostalgic touch on any tree, these tree tapers are made in the USA.